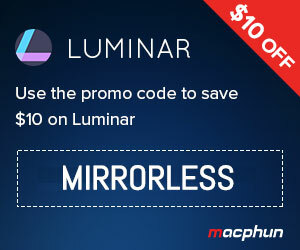 We currently own three websites and a Youtube channel dedicated to mirrorless cameras. Below you can find a quick description about each one of them. MirrorLessons is our first website and was started in 2013. We write honest reviews about mirrorless cameras and lenses, first impressions reports, tips and tricks, essays. We also publish image galleries, interviews and guest posts. On our most recent website we focus on comparing mirrorless cameras and lenses. Sometimes it can take more than a month to finish an article and share the most complete information and feedback. We also write comparison previews that highlight the main differences when a new camera is announced. Here we curate the work of other photographers or reviewers we feel are worth sharing. We write all sorts of news related to the mirrorless world and share best-of lists and buying advice posts. Instant Camera Blog is a small side project we started up after we began experimenting with instant film cameras such as the Instax Mini series. Here you’ll find reviews, comparisons and lots of tips/tricks to help you get the most out of your instant camera. Most of our recent reviews come now in video format. We also created videos with sample footage taken with various mirrorless cameras, video comparisons and similar content.